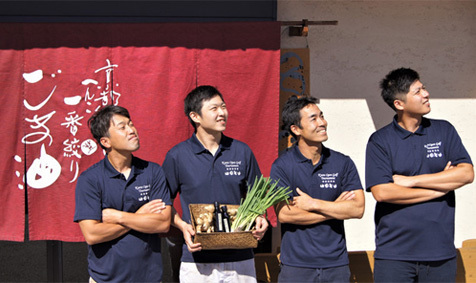 Yamada Sesame Oil Manufacturing Company is a local business in Kyoto that produces premium quality homemade sesame oil and other sesame products for sale. 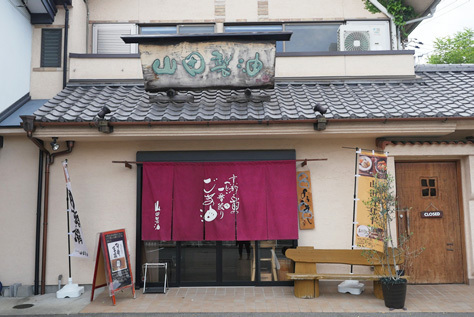 The first henko president of Yamada Sesame Oil Manufacturing Company, Yutaka Yamada, (grandfather of the current president) moved to Katsura, Kyoto after the Great Kanto Earthquake in 1923. Yutaka became a driver of the newly established Hankyu railway which operated between Osaka and Kyoto. He loved working as a train driver but the intensity of his job caused his health to deteriorate over time. While searching for methods to regain his health, he met Mr. Sakurazawa, founder of the Macrobiotic Diet. Under Mr.Sakurazawa’s advice, Yutaka adopted the macrobiotic diet and noticed great improvements in his health. Pleased with the results, Mr. Sakurazawa suggested to Yutaka that he should be making products which serve people and society as a whole. That is how the first henko president started producing his renowned first pressed sesame oil. In the beginning Yutaka not only produced sesame oil but made Japanese noodles such as soba and udon by milling his own flour. He also cultivated rice by digging his own well as he wanted to secure safe and clean water for his rice. Yutaka was completely henko in the sense that he did not compromise in order to produce safe and chemical-free products which serve people and society. Using traditional manufacturing methods inherited from our founder, we continue to make products that conform to the highest quality standards and stay true to his legacy. 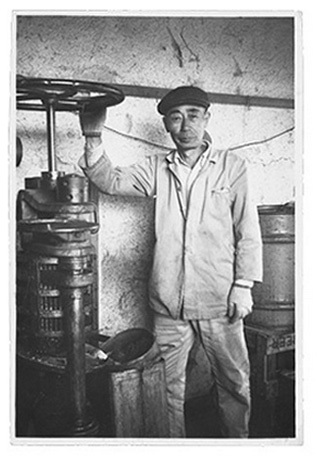 Yamada Sesame Oil Manufacturing Company started out with the production of our “first pressed sesame oil” which is also the signature product of our brand. We currently produce a wide range of premium quality sesame products and side dishes incorporating only the finest selection of sesame products. 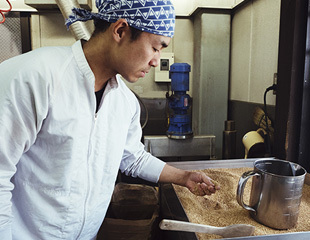 Yamada Sesame Oil Manufacturing Company’s sesame oil is extracted only from the first pressing, leaving most of its nutrients and flavours intact. 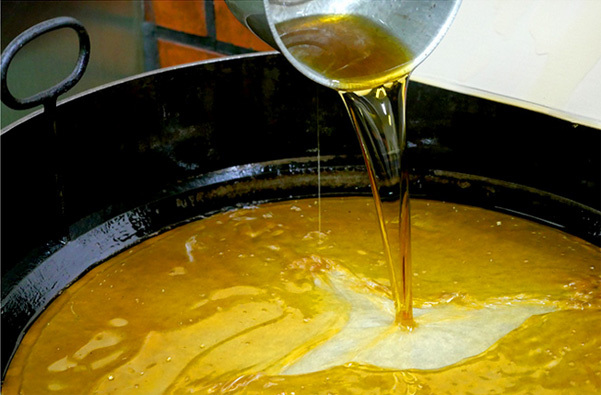 This produces the best quality of sesame oil that sets us apart from other brands. 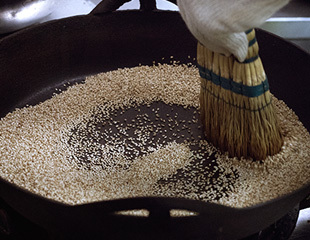 Our roasted sesame seeds are known for their signature fragrance. The roasting process is completed once the seeds release a sweet-smelling aroma. Rich and creamy sesame paste ground with a double millstone. Inspired by the idea of incorporating sesame products into Italian cuisine, we established Piccollo Mondo Yamada, a cosy Italian restaurant located right next to our main office. 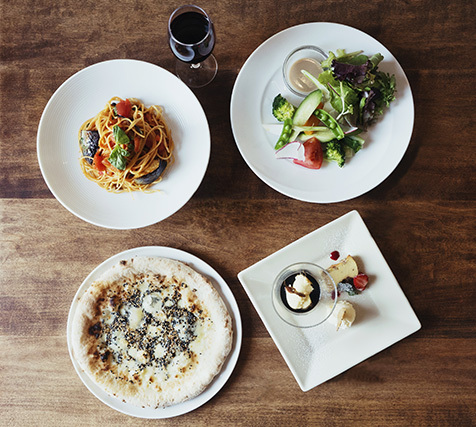 Here at Piccollo Mondo Yamada, you can enjoy a great selection of delicious Italian fusion dishes made with our sesame products and the freshest seasonal produce. We strive to protect the future of all children and their mothers. 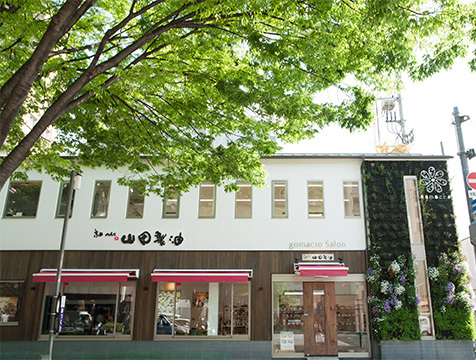 Based on the concept above, gomacro Salon was created as a community project that seeks to promote a new way of eating which is mindful about the quality and safety of our food. It includes a café and grocery section in the first floor, as well as a spacious kitchen studio for community events in the second floor. 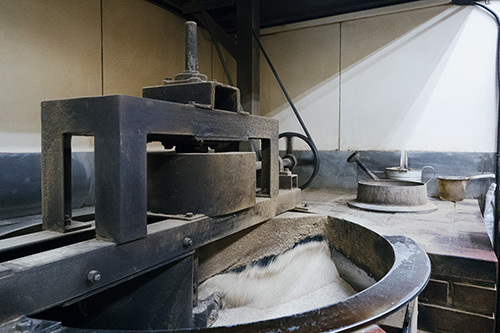 At Yamada Sesame Oil Manufacturing Company, we are not limited to the production of sesame products. In accordance to our founding principles, we tackle various issues through our innovative business projects for the betterment of society. Yamada Sesame Oil Manufacturing Company.